The grass has been presenting a problem. It’s a bit too wet to mow, even if I could manage to control the zero turn mower…. a very disconcerting piece of equipment, wheels seem to spin in all directions not relating at all to the way I want it to go. However, the sheep have come to the rescue and are delighted to have their grazing area extended to nearer the house. 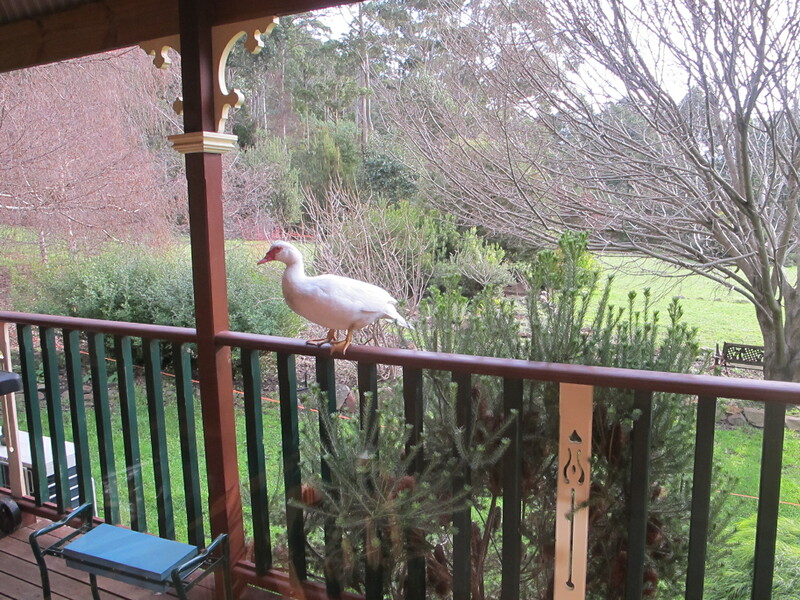 Young Mo the duck has taken begging for food to a new height and now sits on the balcony rail, hoping to catch my eye so that I’ll feed her a tasty morsel or two. 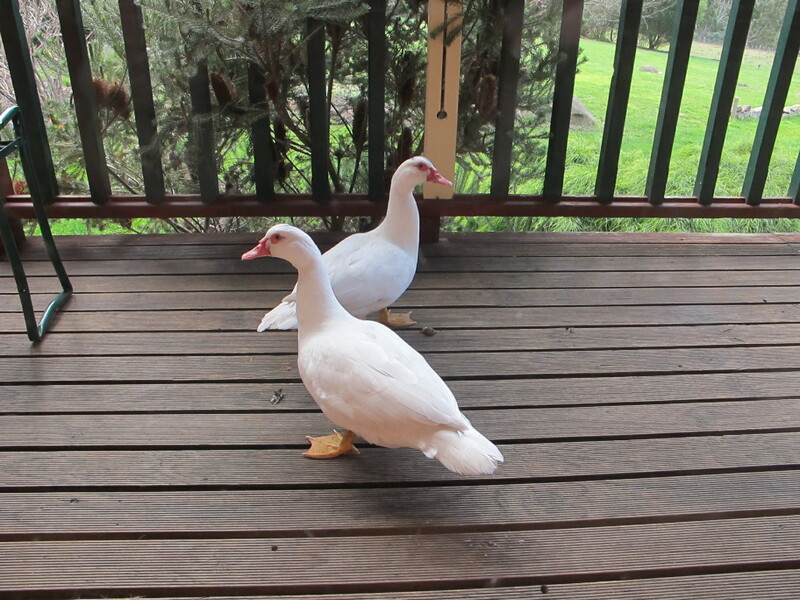 She and her pal Miney are always up to mischief of some sort, real pests if they weren’t so funny. Meanwhile, Robert has made a start on cleaning off some second hand bricks to build the bread oven. Oh yes, and the stall at the gate, it being biscuit day as all Fridays are, has cornflake cookies and lemon shortbread butter creams. By tomorrow there will be new preserves – raspberry jam, sweet chilli sauce, apricot and pineapple jam and piccalilli to add to the rest.